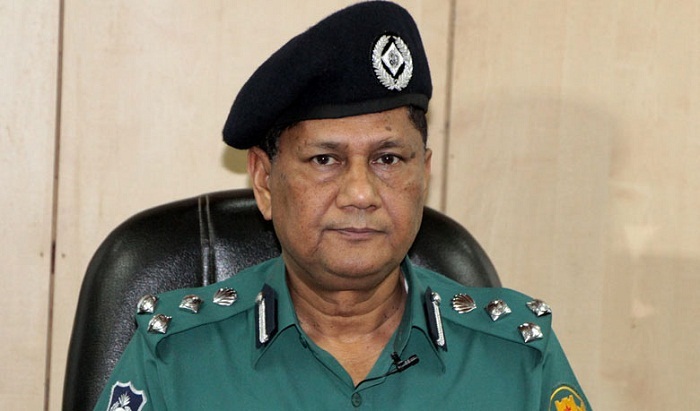 Dhaka Metropolitan Police (DMP) Commissioner Md Asaduzzaman Mia on Thursday said police can open fire, if necessary, while dealing with mugging incidents as per the law. “Police can open fire to protect public life and assets as per the law,” he told reporters replying to a question after attending a views-exchange meeting on law and order and traffic management at Gabtoli in the city. About reported incidents of ‘crossfire’, he termed it a ‘misquote’ claiming that police never gets involved in crossfire, reports UNB. About the activities of ‘malam party and oggyan party’(doping gang), the DMP chief said activities of the doping gangs look to be less this time (Ramadan) compared to ones in the past as the detectives started their works against the criminals two months ago. “We’ve already arrested 200 members of oggyan and malam parties in the last one month and punished them through mobile courts,” he said. “Detectives and local police have been carrying out drives in every ‘para and mohalla’. Instant legal action will be taken when the law enforcers find them,” the DMP Commissioner added.